I am still in full fledged moving mode.. which includes lots of stress and emotions, but one (of several) things making it better is this little face.. and knowing that in about a month I get to snuggle with it. 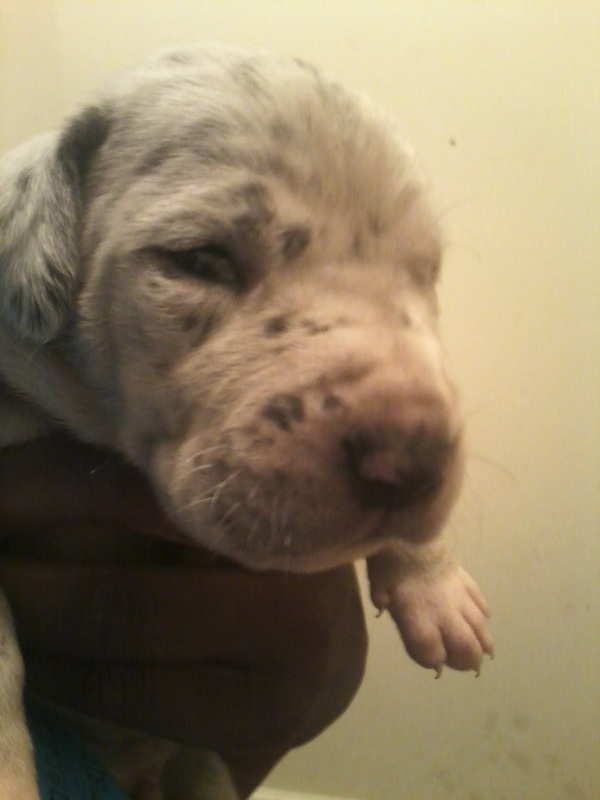 He is a Silver Merle Great Dane, and I am still working on coming up with a name.. This entry was posted on September 24, 2012 by kpbback in Dog, Great Dane, Puppy.